The Los Angeles Clippers have agreed to deal perennial All-Star PG Chris Paul to the Houston Rockets, where he’ll team up with fellow superstar James Harden. Former Oregon standout Jordan Bell, the No. 38 pick in the NBA draft, said that former Pac-12 foe and top overall pick Markelle Fultz should be envious of Bell’s position. 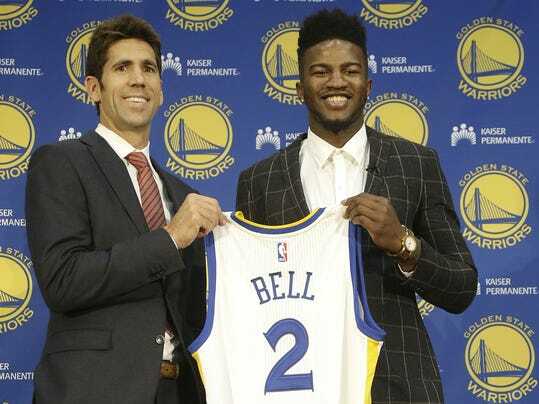 That’s because Bell is poised to suit up for the NBA champion Golden State Warriors, joining a super team. His new teammates are Kevin Durant, Steph Curry, Draymond Green and Klay Thompson. No big deal. “I think I’m in the best spot. I think Markelle Fultz would rather be in my position that his,” Bell said jokingly on 95.7 The Game radio on Wednesday.